1353-DST is rated 4.8 out of 5 by 22. Rated 5 out of 5 by WSF from as described Item came in as described and there haven't been any complaints from the customer. 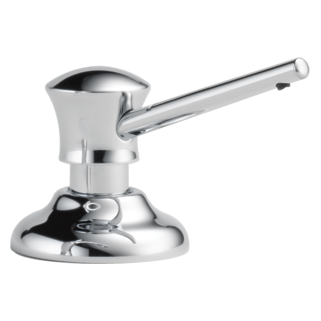 Rated 5 out of 5 by don233 from Great Faucet Bought this faucet about six months ago and would highly recommend. I like the styling and works great. The finish fits perfect with the rest of the kitchen. Had no problems installing, quick and simple. 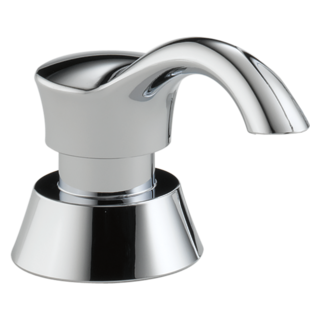 Rated 5 out of 5 by macbel from Very good faucet and Delta provides great support The styling of this faucet is clean and simple yet very tasteful. 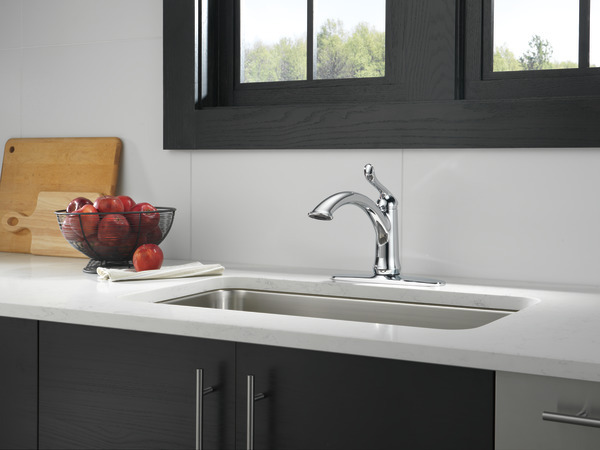 The minimal amount of hardware attached to the sink makes keeping hard water stain from building up easy. And since we have quite hard water in our area, we have had to replace the internal cartridge a lot sooner than I would have expected, but Delta really stands behind its guarantee and replaced it with no hassles. 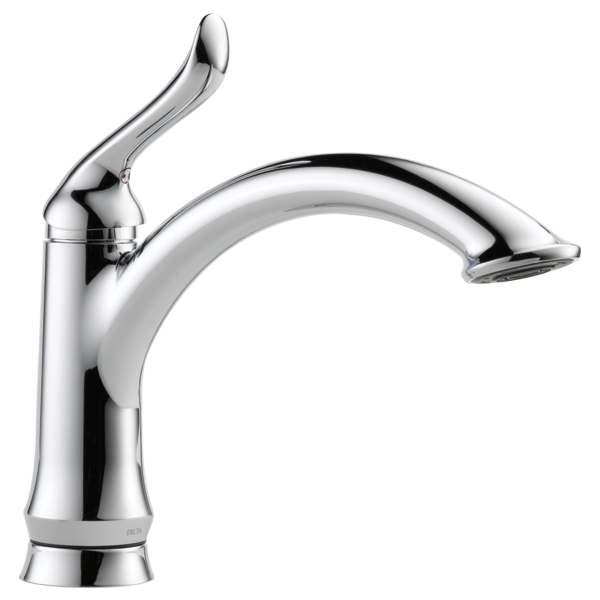 We have Delta faucets throughout our house and I would really recommend any of their faucets. Rated 5 out of 5 by flannery from Perfectly Simple & Elegant After having a Delta farmhouse faucet in a Venetian Bronze finish for the last 13 years the finish had not done well with our well's hard water. We replaced the sink and this time went with a Delta stainless Linden, one without the pullout sprayer - just wanted something very simple yet very sturdy and found what we were looking for in this faucet. It was the simplest faucet we've ever installed, it looks fabulous with our new stainless Kohler sink and puts out a really nice and heavy flow of water with none spraying where we don't want it to go. So if simple and elegant yet sturdy is what you seek, you can't go wrong with this terrific kitchen faucet. 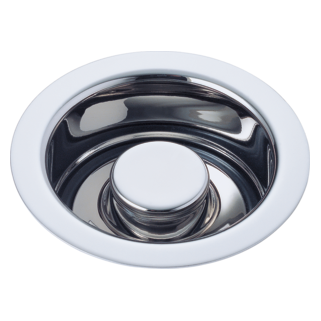 Rated 5 out of 5 by Doug from simple, reasonably priced, good quality, looks nice I went through two Pegasus faucets in four or five years. (ordered one, was sent two, but both went south!) Should have started with a Delta and saved me a lot of trouble. I appreciate that Delta gives long supply lines that reach the valve. Shipping was fast too. Rated 5 out of 5 by patb from great faucet Exactly as described. No plastic like the last one which was " guaranteed for life" Very pleased. How do I stop a leaky Delta Kitchen faucet? What are the dimensions of the o ring on the swivel assembly at the bottom of the spout on a Delta 1353 DST kitchen faucet? 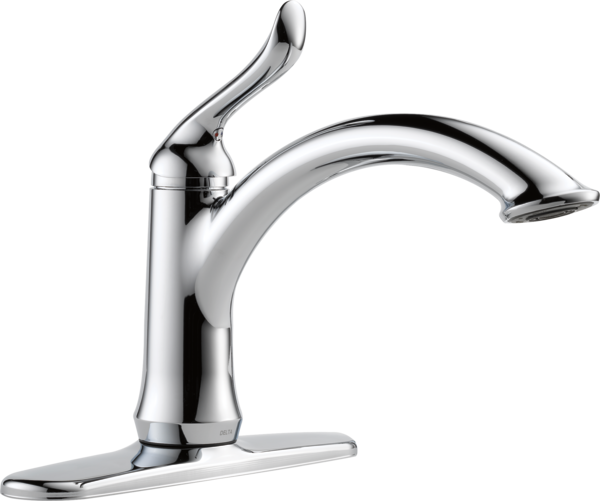 I have found only one standard kitchen faucet Model 1353-DST for my 1-3 hole sink. Can a Purr Water Filter be attached to the end of the spout ? My filter has a female connector. Thank you for your reply. Thank you for your question. 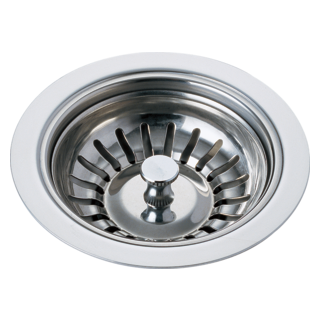 Delta Faucet model # 1353-DST has a cache or hidden aerator which is 13/16&quot;. 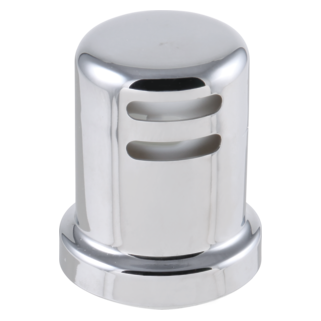 We do not have an apdator for this aerator but you might check with your local retailer or wholesaler to see if they have one available. What is the thread size for the aerator? Is there an adapter so that I may attach a hose?